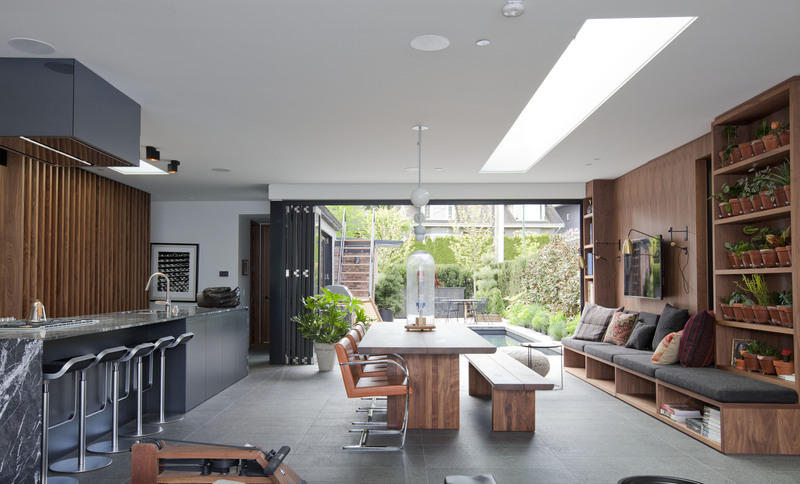 This project was a major renovation to a 200 square metre townhouse residence originally built in 1965. 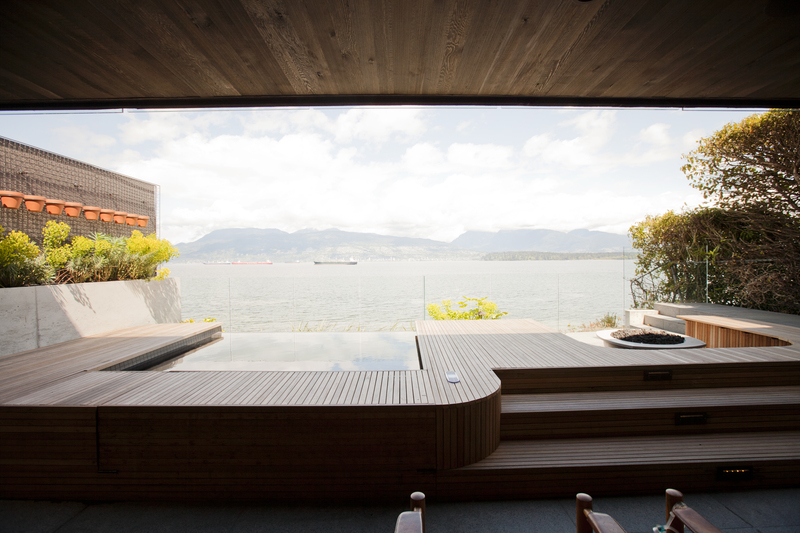 The main concept was to open up the entire upper level to create a seamless flow from front to back of the space, inviting in the views of English Bay and downtown beyond. 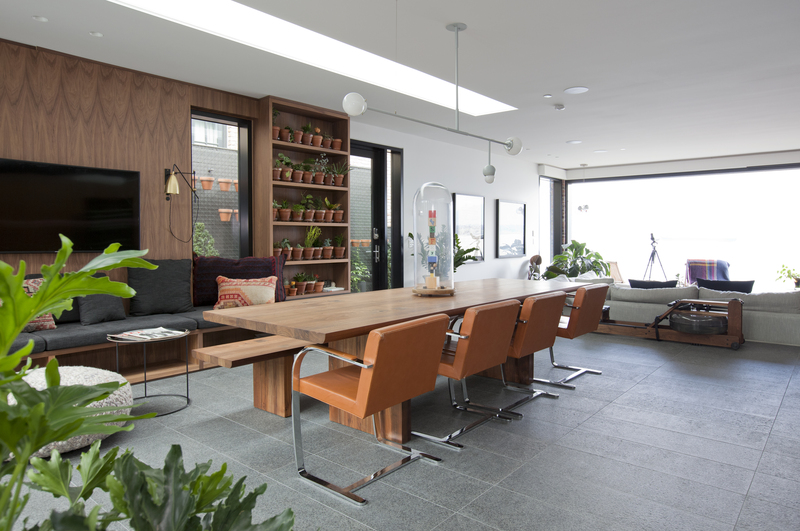 Further, the living areas open up to the south facing courtyard through folding glazed doors, providing direct access and views to the new swimming pool. To meet the client objective of creating a house that could feel serene in daily living and transform to a lively vibe for social gatherings, the plan is a departure from traditional living. The living, kitchen, dining, lounge and outdoor areas combine seamlessly for highly informal living within a very tailored aesthetic. The result is a home that lives far larger than its modest size. Further, the client wanted space and flexibility for the large collection of vintage furniture and varied artwork he owns. 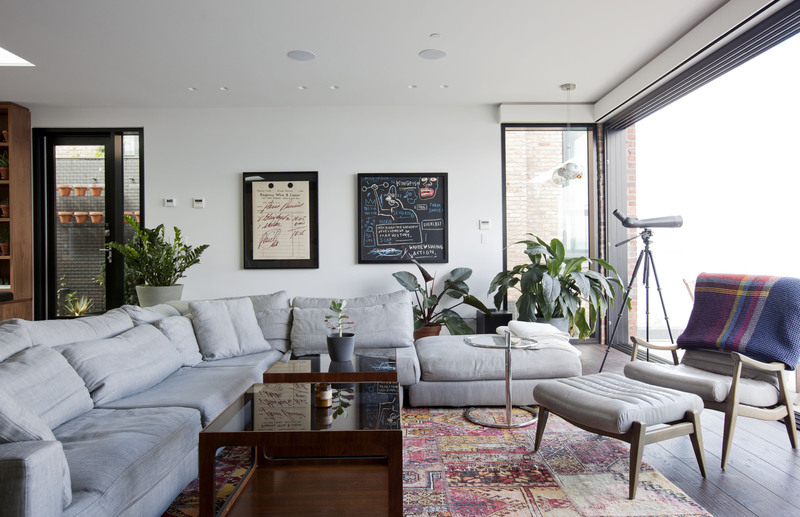 Strategic wall locations are well lit for the art, and the large living room allows for a collection of furniture at a scale usually reserved for the larger homes we design. 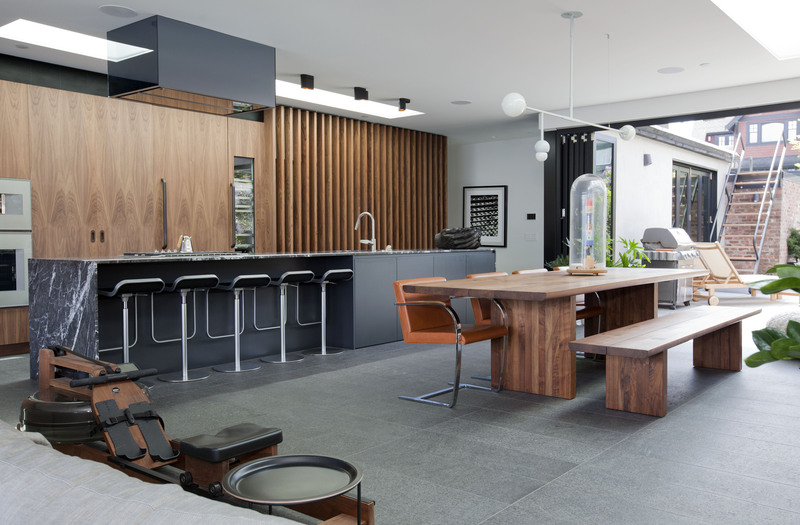 The kitchen millwork was designed to appear as wall panelling that extends into the living room, making the kitchen function blend into the background while putting a focus on the honed black marble island as a social centre for the entire upper floor. On the lower level, the use of a change in level and sliding walnut veneered wall panels creates the client desired feeling of a boutique hotel.